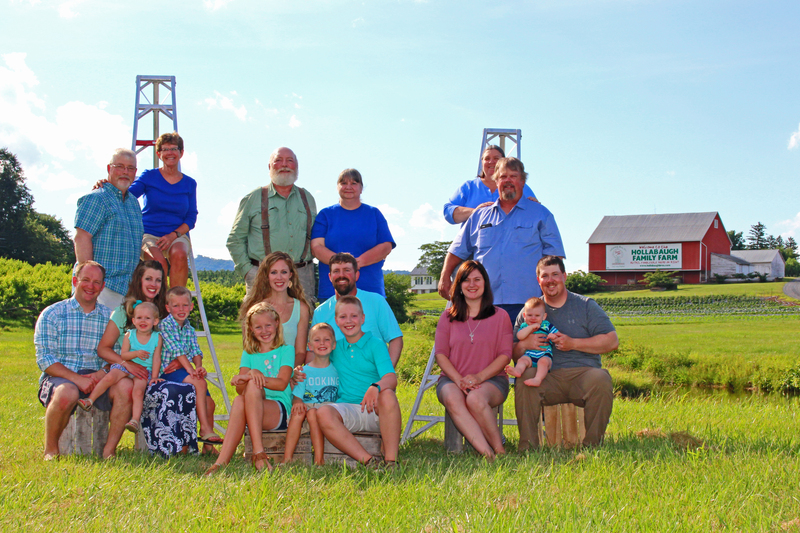 The Hollabaugh families have been growing fruit near Yellow Hill for over five decades. Back in 1955, our farm market was located across the road from its present location – in just a small shed. Much has changed over the years in addition to the move across the street to a larger, more efficient market. Now we employ over 60 people at the height of our growing season, monitor yields from each block on our nearly 500 acre farm, and track weather electronically to aid us with pest management and fruit harvest dates and times. That which hasn’t changed is our family ownership and involvement, which is the key to our success today. The original twin brothers – Donald and Harold – have passed their knowledge and love of the land on to the 2nd generation who are now sharing it with the 3rd! We are proud and happy to report that 3rd generation Bruce, upon his graduation from PSU with a degree in Horticulture, returned to the farm in 2002. Ellie, who also graduated from PSU in 2006 with degrees in Agribusiness Management and Spanish, has also returned to the farm. And Wayne graduated from PSU with a degree in Agricultural Sciences, and has also joined the family business! 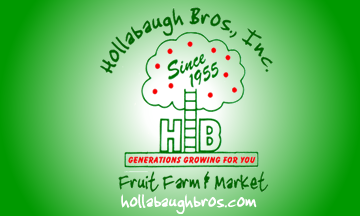 At the present time, supported by wives and the best employees around, the Hollabaughs are growing only the highest quality fruit on over 120,000 trees! Now we invite you to join our family – stop by our market, tour our farm, attend one of our festivals. You see, just as we value our own family, we truly appreciate you – our loyal customers. We do indeed love what we are doing, and we want to share that love and respect of the land with you. To our long-time customers, thank you for your years of support and friendship. And to all our new customers, we welcome the chance to offer you a “taste” of the country and our high quality fruit products!